from the category "Search engine optimization "
To gain as many visitors as possible via SEO it is essential to have enough correct content on your website. "Content is King" is a popular saying amongst search engine optimizers. You should offer your visitors as much extensive knowledge as possible to get a good position in search engines, such as Google. If you want to gain a high position in the ranking with the keyword "dogs", you should therefore publish a lot of text and further information about "dogs". But be careful that you don't primarily write the text for the search engines. Try writing a text that is easily readable for the visitors of your website. Strategies such as keyword stuffing (using the keyword, with which you want to gain a high position, plentiful) might lead to success in the short run, in the long run however Google could ban your website. There are a number of tools that show what people search for when they need information to a specific topic. 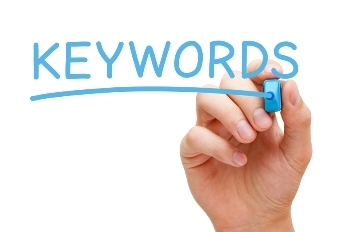 The most popular tool is probably the Google Keyword Planner, however a Google AdWords account is necessary. A tool that you can use without registering is Übersuggest for example. Using one of these tools, you can see which topics are often searched, then publish the suitable texts and information on your website. You should structure your text with the help of some HTML text formats. Besides a better readability for the visitors of your website, you also get bonus points by Google & co.
You should use tags, such as <h1>, <h2> etc., for titles. An important word should be written in bold via <b> from time to time. In the Own-Free-Website.com editor these tags are placed automatically when using title as font or bold letters. Google can recognize whether a website has a lot of misspellings or not. A text with a lot of misspellings tends to have content of poorer quality than a text with less mistakes. Because Google wants to deliver the best, most informative results when searching for a specific phrase, it's logical, that when it comes to rating a websites the number of misspellings are also taken into account.